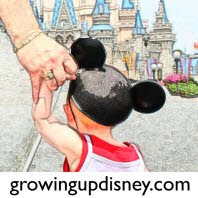 Growing Up Disney: Happy Independence Day! Good morning all! I am proud to be waking up in this wonderful country. No, she's not perfect, but she's ours. I am thankful for all who have worked and fought to give us freedom. I've been watching the History Channel's "Story of Us" series lately. It's amazing what earlier generations endured. Today, let's be thankful for their sacrifices. Ridge is here in North Carolina visiting with my family. We'll be grilling later and just might go to a baseball game. We'll be reposting a few of Ridge's articles on some of Disney's patriotic attractions. I hope you have a very happy and safe day of celebrations.